This is an all time classic with 57 beautiful illustrations. It is one of the most complete books written on magic, because it teaches both stage and close-up magic (cards, coins, silks, cups and balls, etc. ), technique, presentation, and all the peripheral skills necessary for great conjuring. The official byline read: The standard texbook on how to become a magician. Sleight-of-hand feats and tricks with apparatus for amateur and professional conjurers, and for both parlor and stage performance. 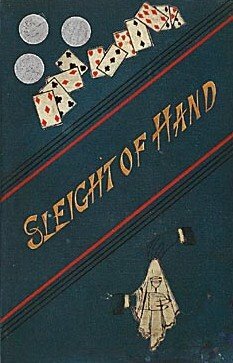 Sachs' articles on sleights were first serialized in the Exchange & Mart magazine and later reprinted as the book Sleight of Hand . 2nd edition, 1885, L. Upcott Gill, London; reprint, 1980, Dover Publications, New York; 399 pages.